You can still buy a new car for well below $20,000, but the fact is consumers now spend on average about $34,000 for a new set of wheels. On a purchase, that makes for a hefty car payment, even financed over five years. Now, some dealers are even promoting seven-year financing. But high prices have also led to a huge increase in auto leases. With a lease, a consumer can drive away in a nicely equipped car but have low payments, sometimes less than $200 a month. Sounds like a good deal, but you need to consider all the costs, which are not spelled out in the ads. They're tucked away in the fine print. First, it may surprise consumers leasing a vehicle that there is a fee just for turning the vehicle back in at the dealer when the lease is up. The dealer justifies it as the cost of detailing and handling the sale on the wholesale market. Fair enough, but this fee, which can be $400 or more, is something you're going to have to pay at the end of the lease and therefore should be considered up front. A $400 fee spread over 36 monthly payments comes to $11.11 a month. So our $199 lease payment is now $210.11. When you drive off in your new leased car, you know you have a certain number of miles that you can drive it. Twelve thousand a year is fairly standard, though manufacturers have been pushing lower-mileage leases lately. In any event, you know what your limits are and what the total should be when you turn it in. But sometimes calculations go wrong. Maybe there have been a few out of town trips you didn't count on. At the end of the lease, you could be 2,200 miles over your limit. On standard leases, that will cost you as much as 25 cents a mile, so in this case the overage charges come to $550 when you turn the car in. Spread over 36 months, that adds $15.27 to the monthly payment, which is now at $225.38. You will also be charged for excessive wear and tear at the end of the lease. Different manufacturers have different standards and charges. To its credit, GM spells it out fairly clearly on its website, displaying pictures of what constitutes excessive wear and what doesn't. In the end, of course, it's a judgment call. So a large scratch on the rear door and a stain on the seat might cost another $350 at the end of the lease, or broken down into 36 monthly payments, $9.72. That brings our monthly payment up to $235.70 a month. Okay fine, you say. That's still a lot cheaper than $500 a month to purchase the vehicle. True, but you leased the car thinking it would cost you $199 a month. With a purchase, the car is yours as long as you want to keep it. 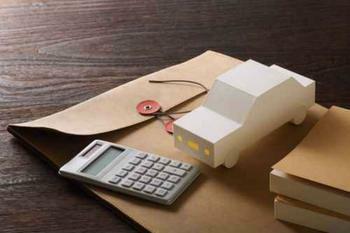 A lease is simply payment for the portion of the vehicle you are using over those 36 months. Another consideration about the end-of-lease fees is that they, in fact, are not spread over 36 months but must be paid all at once when you no longer have the car. In our hypothetical scenario, the consumer leasing the car has run up $1,300 in additional charges, enough to make a down payment on a late model used car. This is not to say these fees are unreasonable. But they are fees consumers need to take into consideration. Despite their sudden proliferation, auto leases aren't for everyone. They have traditionally been used for expensive vehicles and for cars used for business purposes. Many consumers, however, would likely be better off lowering their sights and purchasing a less expensive car, rather than using a lease to make the cost of driving a car seem cheaper than it really is.